The Family Foundation Webinar Series is designed to help you think smarter and perform better when it comes to family giving. By joining, you'll hear foundations across the country share strategies to implement effective family philanthropy. This series is designed for staff and trustees working with family foundations or donor-advised funds. 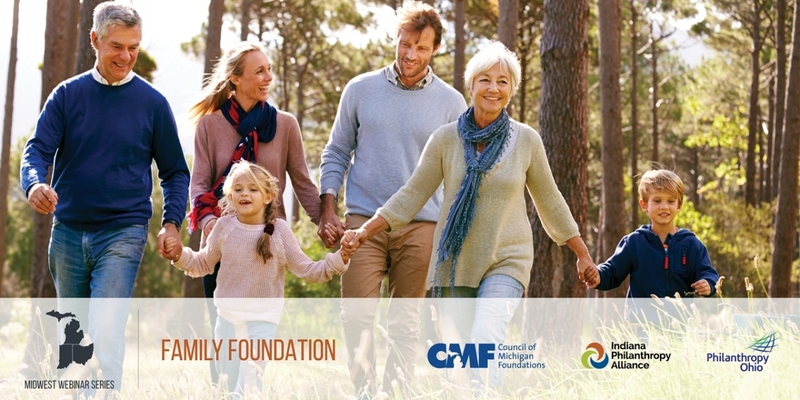 This Family Foundation Webinar Series is presented in collaboration with IPA, Philanthropy Ohio (POH), and Council of Michigan Foundations (CMF). Together, we hope to harness and share the collective expertise of each state’s leading philanthropic organizations and trusted community partners.